The Anarchist FAQ - III. How does anarchism help solve our major problems? What does anarchism say about social breakdown? What does anarchism say about war? What does anarchism say about the environment? III. How does anarchism help solve our major problems? Social breakdown, i.e. rising rates of poverty, homelessness, crime, violence, alienation, drug and alcohol abuse, apathy, and the deterioration of self-help and mutual aid, etc. Organized mass murder (war) and the proliferation of weapons of mass destruction. Environmental waste, the destruction of the planet’s ecosystems. In this section we examine these "asteroids" from an anarchist perspecitive. Our solutions involve freedom of association and decentralization. Liberty is the best way to address all these chronic wicked problems. III.A - What does anarchism say about social breakdown? Before the industrial revolution, property rights were decreed and caste-based. Only the king and his princes and lords could own land and other factors of production. As feudalism broke down, so did this caste system. The right to own property was expanded to more and more people. Despite significant State intervention, this expansion of property rights to the masses significantly reduced poverty. 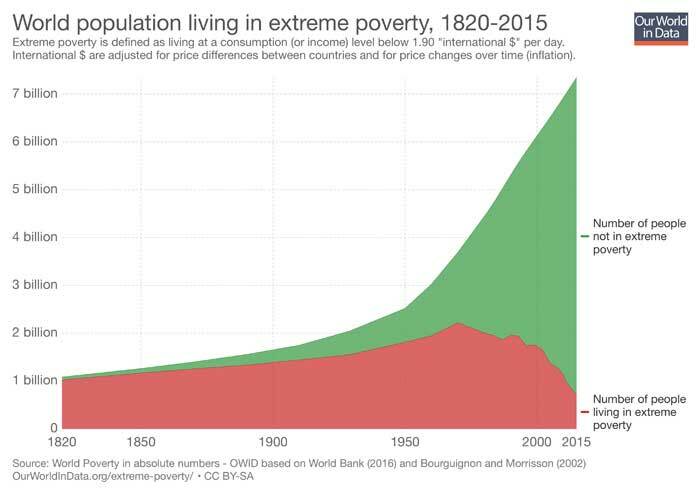 Poverty can be alleviated or reduced, and in the Western world in the last two centuries it has been almost miraculously alleviated and reduced; but poverty is ultimately individual, and individual poverty can no more be "abolished" than disease or death can be abolished. The richer the community, the less the need for relief, but the more it is able to provide; the poorer the community, the greater the need for relief, but the less it is able to provide. Moreover, government relief tends to prolong and intensify the very disease it seeks to cure. Such relief tends constantly to get out of hand. And even when it is kept within reasonable bounds it tends to reduce the incentives to work and to save, both of those who receive it and of those who are forced to pay it. It may be said, in fact, that practically every measure that governments take with the ostensible object of "helping the poor" has the long-run effect of doing the opposite. Government intervention in the economy and plunder through taxes and inflation retarded prosperity, and the looted wealth was funneled to cohorts and cronies. This resulted in wealth inequality. As long as money was connected to gold or silver (if not fully redeemable), governments were compelled to show some restraint in money creation. After 1973, when the world went off the commodity standard, money creation started increasing exponentially. 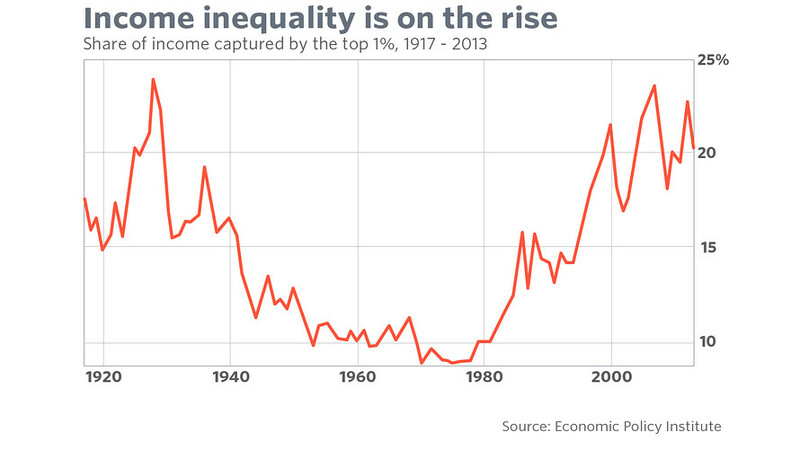 As a result, wealth inequality also increased dramatically. III.B - What does anarchism say about war? Anarchists oppose war, which they consider to be State organized mass murder. Virtually all wars are "State on State." Since States maintain standing armies, they are a danger to other States. American general turned anti-interventionist Smedley Butler explained how government militaries are little more than gangsters for rulers and their cronies. The same non-aggression criteria that anarchists use for individuals applies to groups of people. Suppose that Jones, in the course of his "just war" against the ravages of Smith, should kill a few innocent people, and suppose that he should declaim, in defense of this murder, that he was simply acting on the slogan, "Give me liberty or give me death." The absurdity of this "defense" should be evident at once, for the issue is not whether Jones was willing to risk death personally in his defensive struggle against Smith; the issue is whether he was willing to kill other people in pursuit of his legitimate end. For Jones was in truth acting on the completely indefensible slogan: "Give me liberty or give them death" surely a far less noble battle cry. III.C - What does anarchism say about the environment? The most environmentally destructive force is compulsory government. The most destructive agencies of governments are their militaries. But besides these errors of commission, there is a major error of omission that governments make - failure to allow property norms to be defined. Thus, without norms, we get the infamous 'tragedy of the commons' in our air and water. Furthermore, States generally allow special interests (in addition to the military) to pollute at will, in effect selling licenses to pollute. Markets, property rights, and the rule of law are fundamental to economic growth, and economic growth is fundamental to improving environmental quality. There is a strong correlation between treatment of the environment and standards of living. Markets and the process of exchange give people who have different ideas and values regarding natural resources a way to cooperate rather than fight. When cooperation supplants conflict, gains from trade emerge.